He argues that there has been a general thought-paralysis which renders any authentic and holistic anti-capitalist philosophy difficult to conceive and communicate. Our intellectual immune system has been disabled. As a result of this, anarchist and anti-capitalist thinking has to look deeper than the surface of what is usually regarded as the political realm and root itself in an intellectual soil completely outside of capitalism and all its assumptions. Beginning with Guy Debord’s condemnation of the world of artifice in which we live, the author describes how, in order to hide its own falsity, capitalism denies that humanity belongs to a holistic natural world and also denies the very possibility of authenticity. 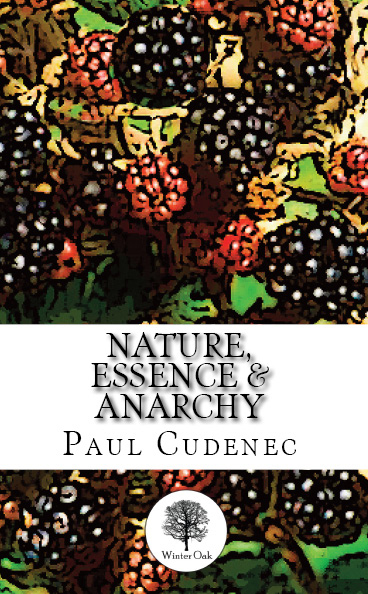 He discusses the way that, despite Peter Kropotkin’s work in describing the evolutionary importance of mutual aid and solidarity for all species, including humanity, many anarchists remain strangely suspicious of the idea of “nature”. Widespread misuse of the word, and the effects on our thinking of the industrial society surrounding us, make it difficult to reclaim the term and overcome our separation. He looks at the nature-based philosophy of the 16th century physician Paracelsus and suggest that we might rediscover authenticity by feeling within ourselves what he termed the Spiritus Mundi, the vital energy of the universe. The anarchist desire to destroy capitalist society cannot be regarded as negative. For one thing, it aims to clear the way for a better world. But it also arises from a belief, as voiced by Rudolf Rocker and Noam Chomsky amongst others, that an anarchist society is always possible and that humans have the capacity to live harmoniously as a social organism. This capacity, which is innately present in the human mind but not always activated, reflects the overall tendency of the universe to take on a coherent structure. Conflict arises when the innate structures of the human mind meet an external world which does not allow them to fulfil their potential. As Otto Gross explains, some individuals give way and adapt to circumstances, while others rebel. A hatred of corrupt and unnatural society is founded on a positive vision of how things are meant to be. Modern life maintains us in a state of metaphysical sensory deprivation. If we wish to discover our core reality we need to look deep within ourselves. “Know Thyself” is a maxim dating back to at least Ancient Greek times and still central to contemporary paganism. The descent into the unconscious to find the Self, as invoked by anarchist Gustav Landauer for instance, is a reconnection to the organic universe described by Plato and Plotinus and also by the Sufi tradition. Understanding the individual as an aspect of a greater collective entity does not deny individual freedom, insists the author, but rather removes the limits imposed upon it by our separation and reveals an empowering and anarchic truth, always regarded as a dangerous heresy by authority. Humankind’s belonging to the living flesh of our planet is an essential reality of our innermost nature and will always resurface in our spirit. The industrial system finds ingenious ways of blocking and diverting our awareness of this. It claims that the “progress” of its technologies equates to an upward path for humanity. Some on the left have fallen into the trap of equating individual freedom with the artificiality of industrial capitalism and of thus condemning “naturalism” and “essentialism” as reactionary. Transhumanism is an extreme example of this trend. Its nature-hating naturaphobia and life-denying vitaphobia are combined with a denial of the polluting and destructive realities behind its sanitised industrial-capitalist image of the future. Escaping the capitalist mindset is like digging a tunnel out of a prison camp. We need to go far enough and deep enough to go beyond its perimeter fences. Anarchists often fall short of understanding that industrial society is inherently capitalist and swallow the lie of “progress”. Mahatma Gandhi understood the need to oppose industrialism and rediscover simple village life, the natural harmony of Sanatan Dharma. Traditional culture has always been an obstacle to capitalism and has been systematically eradicated across the world. Cudenec joins E.F. Schumacher and Ranchor Prime in calling for humankind to draw on our ancient spiritual wisdom so we can deepen our opposition to capitalism. We must access the “eye of the heart” to better understand multi-faceted reality. We need a metaphysical dimension to our revolt to allow us to pass completely outside the concrete confines of modern industrialist dogma.